DESIRE. DETERMINATION. DISCIPLINE. Our plans get results! A solid training plan equals athlete success. Plan Description: This program should be used for athletes who are looking to add a strength training component to their in-season swimming, biking, and running plan. 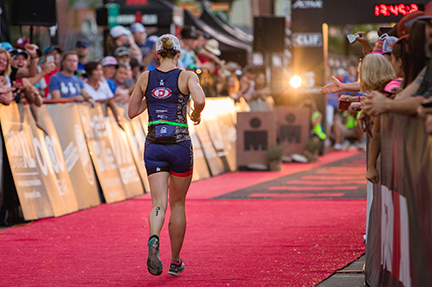 The mobility and stability components allow triathletes to get more out of their season by becoming more durable and resilient. It is intended for athletes interested in taking their triathlon training to the next level by becoming stronger and preventing triathlon-related injuries. This plan does not include swim bike run workouts, but is meant to supplement them. Ideally, strength training should be tapered off about 2 weeks before any key race. Requirements: Athletes should have good fitness in the past 4-6 weeks, as well as basic knowledge about strength training form before attempting to lift heavy weights. This plan also requires basic gym equipment. Our programs are designed for the age group triathlete who has a busy life with a full-time job, a family and/or other responsibilities. During the training plan, there is testing every few weeks to assess your fitness and you can re-adjust your Heart Rate and Power Zones. If you don’t train with a HR or Power meter, that’s fine because the tests are still good training as you can measure improvement based on time and effort. Our plans set YOU up for success. The main goal of this plan is to help you achieve your best race! Laura is a full time coach and she is dedicated to providing athletes with the blueprint that gives you the best chance to reach your goals. IRONMAN®, IRONMAN 70.3® and IRONMAN Triathlon® are registered trademarks of World Triathlon Corporation (WTC). I am a USAT Level II Certified Coach and an NSCA Certified Strength Coach. 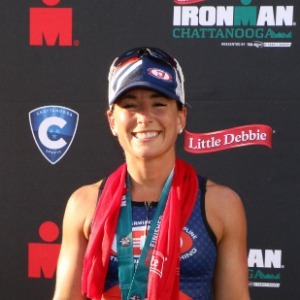 I believe in developing well-rounded triathletes, and empowering my athletes to set and reach goals that require Desire, Determination, and Discipline. I coach Kona qualifiers, 70.3 WC qualifiers, and anyone who wants to push themselves out of their comfort zones. I believe that it is my job as a coach to not only provide you with a road map for reaching your goals, but to be your teammate in the process.